While a student at Harvard University, Land became interested in the phenomenon of polarized light and, in 1937, founded the Polaroid Corporation, creating polarized materials for sunglasses, 3-D movies, and military use. 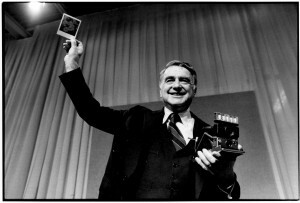 In 1947, he invented a single-step photographic process that enabled black-and-white pictures to be developed in 60 seconds. A color process was marketed in 1963. In an era before digital imaging, Polaroid photography was highly popular, very useful, and made Land a wealthy man.